Ethiopia is located between Eritrea, Djibouti, Somalia, Kenya and Sudan. The capital of Ethiopia is Addis Ababa. Addis Ababa is one of the first African capitals I learned because it's so much fun to say. 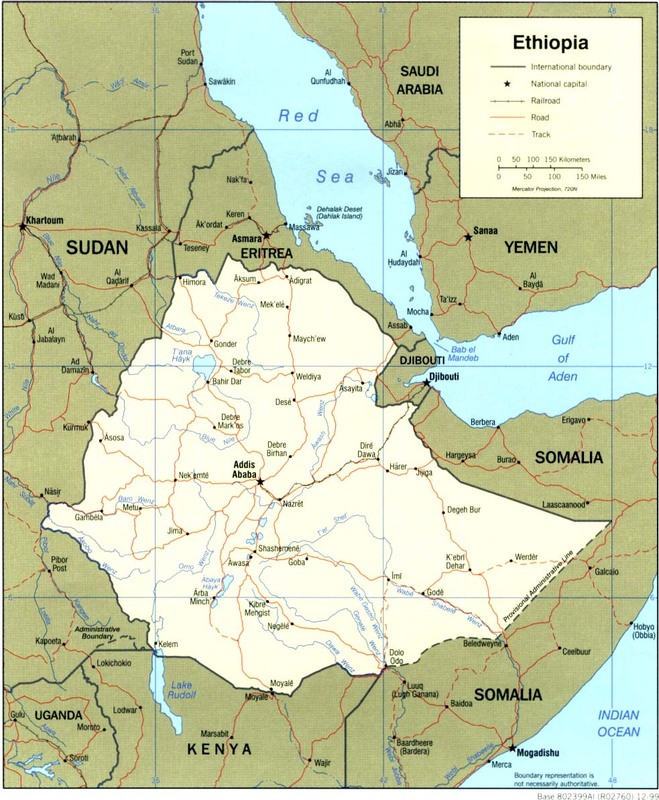 When I looked closer at the map of Ethiopia I was Surprised to find that it doesn't touch the Red Sea.